I shared my thoughts on the Gorilla Snot hair gel on my Instagram here the comments are insightful and show how one product may not work the same for everyone’s hair even when we have the same hair type. I love the packaging , it’s fun adifferent especially for a hair gel , it looks good among my other hair products. Where I purchased the Gorilla Snot in Nigeria? i bought it from @bareessentialsng (not sponsored) because after looking around they had it for the cheapest and that was N4200 including delivery and I received it on the same day I ordered it. I initially just brushed my edges down with the Gorilla Snot Hair Gel and called it a day until less than 20 minutes into my usual daily activities, it looked like I had no gel at all on my hair… turns out it isn’t that one perfect gel 😂 and it requires some effort to keep the hair flat for a long time. I later discovered what was missing in all of the reviews that I’ve read ,is that it’s essential to also tie a scarf round the parts you want to stay down after brushing your hair down with the gel. This helps to lay it properly, and also takes out the excess gel, after doing that the gel lasted for about 8hours. 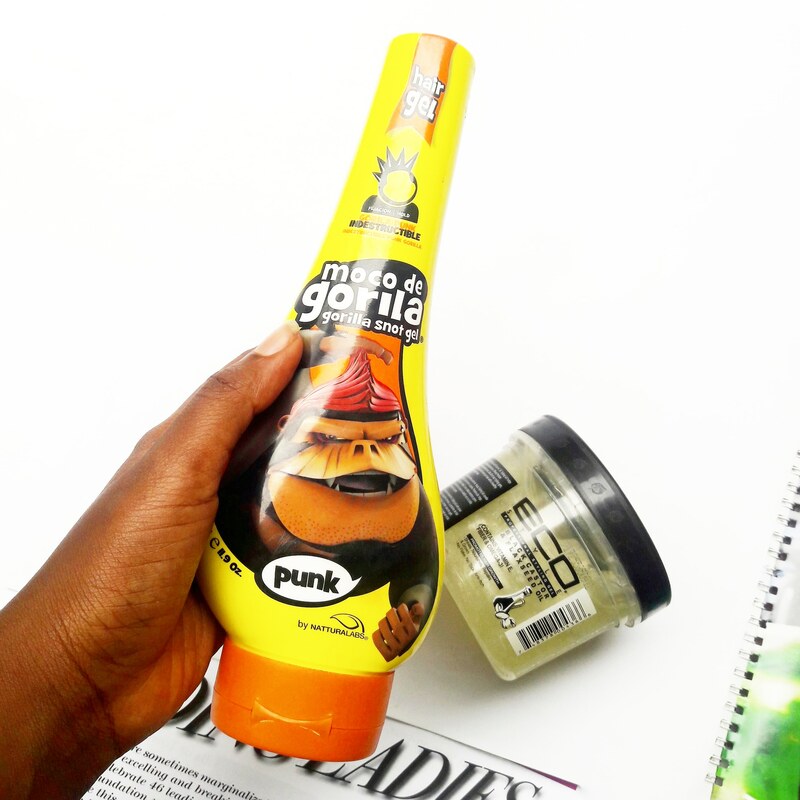 I do not experience any flaking with the Gorilla snot gel, I also take the gel out with water when I’m washing my face at night, it does not leave my hair feeling brittle and it’s generally a good hair gel. 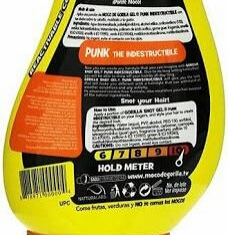 There’s an hold meter at the back of the product ,I bought the one with the highest hold and depending on your type of hair you should be able to figure out which is best. I don’t think it’s the perfect gel for my hair type 4c hair, but it’s pretty close. Would I repurchase? Yes ,while still trying to find a gel with better hold . I would like to know, are you into laying your edges or you just can’t be bothered? I’m team can’t be bothered but for a semblance of neatness I just brush my hair back with a gel. 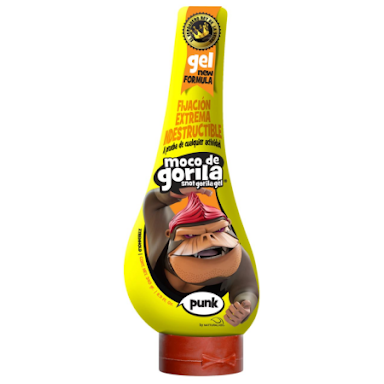 Also, let me know if you’ve tried the moco de gorila snot gel, and how it worked for you? in the comment section. Those black gels are the real mvp,my only issue with them is they cause hair breakage . If it doesn’t break your hair, I guess you are good to go . I use this! I brush it on, tie it up with a scarf as i get ready for the day. It lays down for the rest of the day. ← How to get your PVC in LAGOS,Nigeria .